Sri Lanka feels so much like home from humidity to weather, to roads, to streets, to shops, to houses and even coconut! It really reminds me of my father’s hometown — Quezon, Philippines. Upon landing at Bandaranaike International Airport we've found a mobile service provider offering 3GB of mobile data valid for 30 days worth LKR 1,300. They have fast internet too so it's better than activating your roaming services. Funny thing is, our tour guide gave us sim card with prepaid load of LKR 200. It is not listed in the package so we assumed it's not included, ugh! Warning, listen to your tour-guide. If he says, don't buy anything outside, don't buy! Moving on, it took around 30 minutes by car from airport to our hotel — Jetwing Blue. I stayed awake the entire ride and admired the scenery. It’s really refreshing seeing greens and blues again. You don’t always see these back in Doha. We arrived at around 11:30 at the hotel greeted by friendly staffs and we were given cold towel and woodapple juice as welcome drink. Knowing that we do not have scheduled activity for the day and tired from the 5-hour travel, we had some rest at our room. After two hours, we decided to have lunch outside the hotel and just to walk around the area. Though we don't have a plan for day 1, we still wanted to have a worthwhile stay in Negombo. We rented a tuktuk to show us around Negombo for LKR3,000. This is the biggest regret I had in the entire tour because I've found out that metered taxi only cost around LKR 50-70 per kilometer. And the tuktuk driver even asked for a tip so we gave him additional LKR 500. First day is full of first-times and know-nothings hence the most expensive day. We just charged everything to experience. He did, however, tour us around Negombo as promised. We stopped over at Choys Restaurant for lunch thinking that it will take a maximum of only one hour. To our dismay, we've waited for more than one hour for the food to be served alone. We didn't even care to take snaps, talking about totally forgetting instagram 'cause we're so hungry and upset. It tastes good though. We had two dishes and a platter of rice for LKR 2,700. A bit on the pricey side but their serving is of generous amount so i guess it's just fine. Spice Garden, a place where we didn't expect we'd go to but we stayed out of courtesy. Another local showed us around telling the benefits of each plant. It's like were back to botany 101 and I was actually bored, to be honest. At the end of the "class", he asked for donation and asked us to buy their products. Compulsive as I am, I bought a herbal potion worth LKR 4,500 without knowing the reason why. Note to self for the nth time! If you don't need it, don't buy it. Though our tuktuk driver still wants to continue the tour, we hurried back to our hotel when it started to rain. Weather in Sri Lanka is crazy, sunny in the morning then raining in the afternoon. Too bad because I heard that Negombo is one of the best beaches in Sri Lanka. Big waves, gloomy sky, we head to the pool instead. We've got ready early because we'll be heading to Kandy, around two-and-a-half-hour ride from Negombo. Itinerary for day 2 should have been half day tour in Pinnawala but we have requested to add-up Sigiriya in the tour. So our tour guide made arrangement from his company and agreed to squish all Kandy tour for the day then Sigiriya for the next day. We just had an additional fee of LKR 7,000 (LKR35 per kilometer, cheaper than taking a taxi). Pinnawala Elephant Orphanage, a home for baby elephants found in the wild. Many tourist come and see their activity and how these beautiful creatures are being fed and being taken cared of. Entrance fee is at LKR 2,500 for tourists. Just a piece of advise, be wise while you're at tourist spots because many will show you around. Thinking that it is still part of what we have paid for. We followed the guy then went to another Spice Garden. It's just around 200 meters from the elephant's bathing area. So we didn't realize where we're heading until we get there. They gave us a welcome drink that is really good and gave lectures of Botany once again. It's like blah blah blah in my ears. After lecture, he and his partner showed us herbal stuffs like creams, oils, ointments and more, then massages us using those. I thought it was nice and cool until he asked for a tip and asked to buy from their store. We told him that we have already bought one back in Negombo. After that, he brought us to a place where we can ride elephants for LKR 2,500. At first we were excited but upon riding and seeing how poor they treat the elephant, we felt sad for the gentle creature. Also, there is no safety in it, you have to hold on to their chain which might choke them. It is really heartbreaking. Now I understand why elephant riding is not included in the package tour. He still offers many places to go to but we told him that we have a tour guide so he sent us back to the main entrance of the orphanage. But before leaving, he asked a tip of LRK 1,000 each. My friend refused and we gave him only LKR 500 each. I don't know how to call it, a trick maybe? Giving the benefit of the doubt, maybe he just want to earn money because when we gave all our valuables to him while riding the elephant and he didn't touch a thing. Next stop, SPICE GARDEN, like, again? We told our "original" tour guide that we have went to two spice gardens already. Remember I told you earlier that you have to listen to your tour guide? Yah, he told us not to buy anything from day one but we didn't listened. He has 20% discount voucher for us and I assume it's a legit establishment this time. But yeah, we're already done with a lot of lectures we won't even remember. So we finally skipped spice garden. whew! Kadugannawa Tea Factory & Sales Center, the best tea I've ever tried. I'm a regular tea drinker but I usually drink whatever is available in the market. Knowing that Sri Lanka is one of the biggest exporter of tea. I wanted to know how it's made. A beautiful young lady willingly showed different types of tea and the process of making them. They've let us try BOP (Broken orange pekoe) with dried honey. You don't have to mix it, just take a small bite then drink. It so amazingly good. It's way past lunch when we headed to Oak Ray Hotel for the Kandyan Dance. And knowing that it takes a lot of waiting time ordering for a meal, we opted to just buy bread and eat in the car on the way. Just to survive for the rest of the day. Kandyan Dance, a cultural performance showcasing various dance forms originated from Kandy, hence the name. Entrance fee is LKR 1,000. It's around an hour of entertainment and understanding the culture. And the most awaited show is fire dance. After the performance, one dancer approached us and posed for a photo. He later asked for a tip. Tipping is widespread at tourist spots so better include that in your budget too. It was around 5:30 when the performance ended so it was already evening when we checked in at our hotel in Kandy. We had dinner right away because we didn't had proper lunch. It has been a very long day anyway. Mahaweli Reach Hotel is our home for two nights and loving it. It has that feeling of being in a retreat home. If only we could stay here for a little longer. Not done with the Kandy city tour yet, we passed by Silk Factory and Gem Museum before going to Sigiriya — a three-hour ride from Kandy. Sigiriya (Lion Rock), a UNESCO World Heritage Site. They say that at the top of this massive rock, — around 200 meters high— there was once a palace. Entrance fee is LKR 4,650 and if you want a tour guide, it will cost you LKR 3,000. You don't really need one actually. But we did, it's still good that someone tells you history of the place you're visiting and also encourage you to move forward. and we've only paid LKR 2,000 because we're already low in local currency. We've still gave him a tip though. Although not part of the original itinerary, this has been the highlight of our tour. Knowing that our only activity in Doha is working in front of the computer, this has challenged us physically. My friend nearly fainted so we let her rest for a while. Lion's paws, I was already exhausted when I reached this part of Sigiriya Rock. And looking at those narrow steps, I was already thinking of giving up. We were nearly at the top so we continued climbing even when there are signs that rain is coming. It's a once in a lifetime experience after all. That 3-hour-climb is really worth it. It was around 8pm when we got back at Mahaweli. Hungry and exhausted, we went directly at the hotel's restaurant, clean-up, then rest. Last few errands in Kandy before going to Colombo. Sri Dalada Maligawa Temple, we went early because it was Binara Full Moon Poya Day, many locals and pilgrims will visit the temple. As a courtesy, you need to remove your shoes upon entering the temple. Entrance fee is LKR 1,500. We left Kandy with sun, we arrived at Colombo with rain. We didn't do much in Colombo because of heavy rain. Our tour guide just showed us the place inside the car then dropped us at Odel to buy souvenirs. After that, we checked-in at Cinnamon Lakeside. Can't go out, wallet almost empty, we just took the day off and swim at the pool. My experience in Sri Lanka is worthwhile. Though we had little disappointments, there's a lot of memories and experience to be treasured. Here's my detailed list of expenses in Sri Lanka. I've prepared LKR 35,000 as pocket money and kept $100 as emergency fund. So how did I survived? I'm keeping my credit card with me every time I travel. 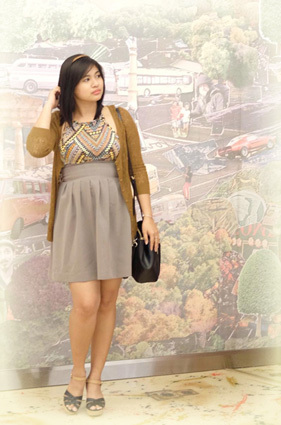 CPA by profession, street photography enthusiast, loves to travel, sneakerhead, foodie!